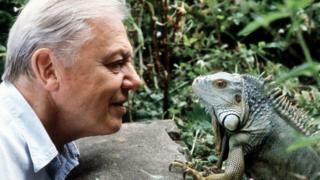 Sir David Attenborough has criticised the BBC, accusing it of failing to make enough arts and culture programmes. The naturalist and broadcaster said the corporation does not prioritise these shows because they do not attract a big enough audience. “If you’re a public service broadcaster, people of all kinds should be catered for,” he said. Sir David was speaking in an interview celebrating the 95th year of Radio Times. He said that, as a public broadcaster, the BBC has a responsibility to show programmes on a range of topics. Blue Planet II, which was narrated by Sir David, was the most watched TV programme of 2017, reaching 37.6 million viewers in the UK. The environmentalist has also written and presented such series as Planet Earth, Blue Planet and Zoo Quest. The veteran broadcaster also defended the BBC, saying gaps in its arts and culture coverage were not entirely its fault. “There are lots of gaps in the BBC’s coverage now, and that’s because they are harried and badgered by all sorts of people,” he said.